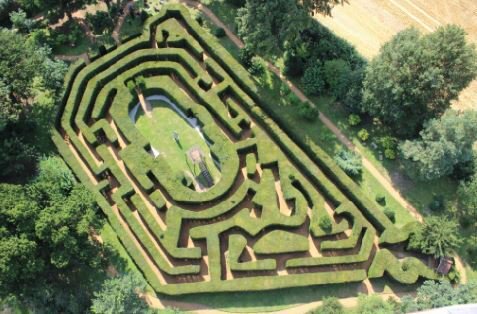 Bridge End Gardens has probably the finest turf maze in England [Pennick]; [Fisher]. There is a mention of it in the time of William III (c1690). It was replanted with yew in 1838-1840, but abandoned and lost by 1949, then restored in 1983. There is a second maze, an imitation of that at Hampton Court, on the Common.